Rig’e Jenn is a vast area of sand dunes in the middle of Dasht'e Kavir, Iran's central desert. 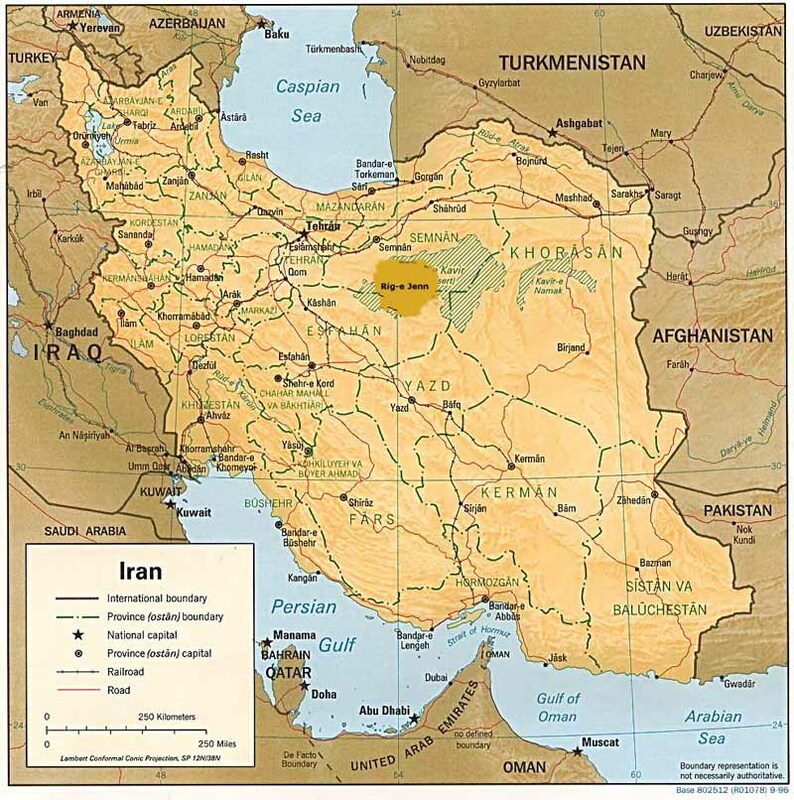 It's located in the west and southwest portions of Dasht'e Kavir, south of Semnan, southeast of Garmsar, north of Anarak and west of Jandagh. It was not traveled by caravan travelers, which believed it was a place where evil spirits lived. Even today some in the neighboring towns and villages believe this. 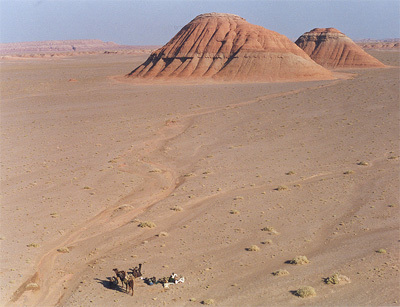 Sven Hedin, the famous desert explorer avoided this area in his 1900s travels to Iranian deserts. Alfons Gabriel crossed the southern 'tail' of it on his way from Ashin to Aroosan in the 1930s. Its rough terrain and harsh conditions have limited successful passage through Rig'e Jenn to only a handful of individuals. 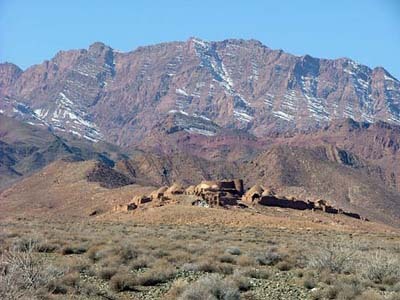 In spite of the use of the neighboring areas such as Ghasr’e Bahram Caravansary from older times, and the Kavir National Park in more modern times, Rig’e Jenn itself had largely remained untouched. 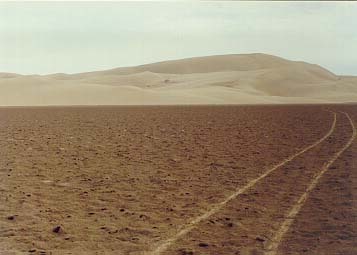 Due to the size of the desert, its lack of any wells or water ways, and of course the intense heat, Rig’e Jenn is considered one of the most difficult areas to cross even amongst other deserts. 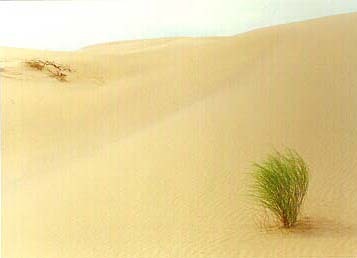 The desert itself consists of many of the main characteristics of this type of terrain such as sand dunes, dry riverbeds, crystallized salt flowers, salt planes, rare vegetation here and there and a hard and often dried and cracked mud surface. Another rare sight is hard mini-mountains which at time were undoubtedly higher and wider but have been reduced to a miniature version due to constant sand erosion. The difficulty in accessing the area has revealed many surprises in recent expeditions. In 1997 a fresh looking crater filled with salt water and bordered by crystallized salt was discovered. 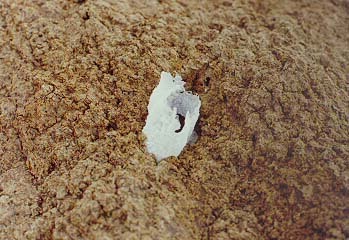 Beyond the crystallized salt was unearthed dirt as a result of some form of impact. The cause of the crater has not yet been established. 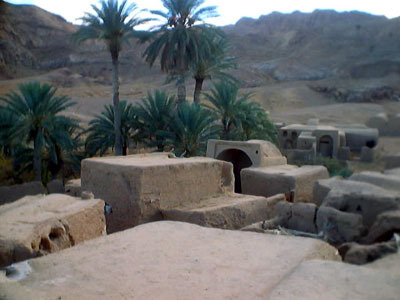 Besides the Kavir National Park, other populated areas surrounding Rig’e Jenn include Molk Abad and the village of Mohammad Abad Kooreh Gaz, while the villages of Ashin and Baba Khaled are now deserted. 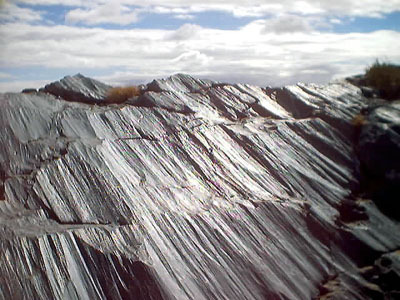 The rocky Jenn Mountain is also in close proximity and its slopes visibly show the severe effects of sand blasting fron Rig’e Jenn. 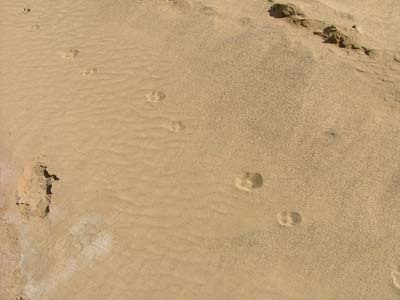 While spotting animals in Rig’e Jenn has been a challenge, mainly due to minimal human presence, however, physical evidence left behind tells a tale of the desert’s wildlife. 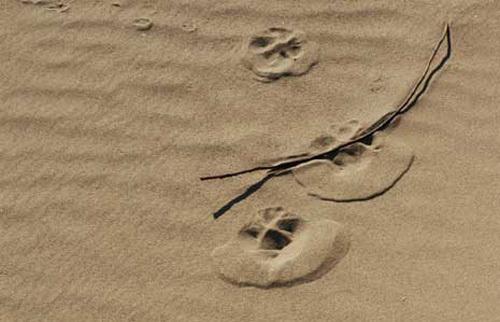 Tracks in the sand indicated the presence of sand cats and wolves. 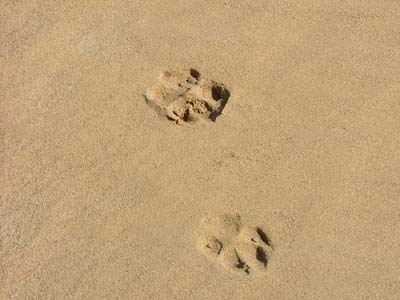 The presence of any mammals in the area is truly remarkable due to its lack of water. It took many tries and a method of trial and error to finally find a feasible path through Rig’e Jenn. 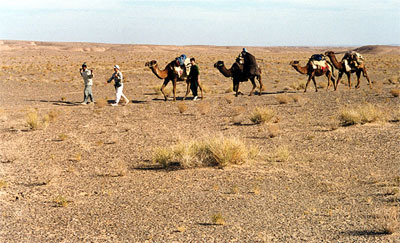 A successful trip crossing this desert was completed in 2005 by Ali Parsa. 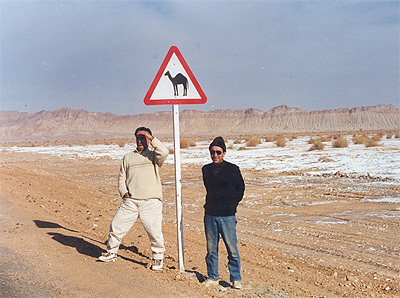 Even in spite of such modern equipment and aids such as jeeps, maps, aerial photos, laptops and GPS devices, due to the nature of this remote area, some not so modern modes or transportation such as camels had been utilized to avoid unpredictable conditions such as mud sinkholes in the middle of the uninhabited desert. Rig’e Jenn undoubtedly received its name from the belief that the area was haunted by spirits and the devil. This belief was strengthened by, and probably originated from, the fact that perhaps many had entered the desert and never returned, dying due to starvation and dehydration. With the hurdle of crossing the desert now overcome, perhaps it is now time to explore and revive the many ancient and deserted structures that Rig’e Jenn is home to.